NEWINGTON, N.H., (April 8, 2019) – SIG SAUER Academy, the leading provider of the highest quality firearms instruction and tactical training in the world, is pleased to announce the addition of Women’s Concealed Carry to the 2019 Course Schedule. For women the decision to carry is a lifestyle choice, and the proper training for self-defense is necessary to gain confidence when it’s time to react. This unique curriculum was written and designed by female instructors whom have carried firearms for years as law enforcement officers, and everyday civilians. This course will cover all the objectives for a concealed carry lifestyle for women, from choosing the right firearm for your everyday activities, to clothing selection based on your body mechanics. Led by a female instructor, students will learn how to properly present and recover from concealment, utilize cover, and master scenarios in which defensive tactics from concealment are required for survival. Women’s Concealed Carry offers students the opportunity to test a variety of concealed carry firearms, including the award-winning SIG SAUER P365 high-capacity, micro compact pistol, to understand the nuances of each carry option, and find the most comfortable fit. 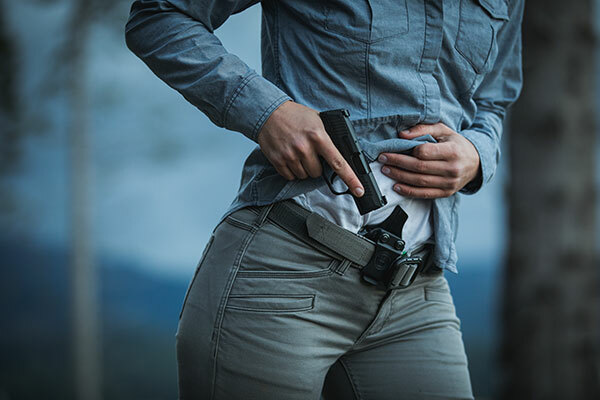 The first offering of Women’s Concealed Carry is April 18, 2019 – April 19, 2019. To register and review the course outline for Women’s Concealed Carry, find additional upcoming course dates, or review the comprehensive course offering for SIG SAUER Academy visit sigsaueracademy.com. This entry was posted in Training and tagged CCW, conceal carry, SIG Sauer. Academy, women. Bookmark the permalink.